Ujjain is a city of temple and so is a very religious and spiritual city. Here there are 84 divine temples of mahadev and during panchkroshi and shravan/sawan month devotees do special prayers in these temples. 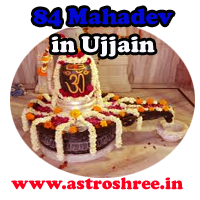 Here in this article my blog readers will come to know about all the 84 mahadev temples in Ujjain. These shiv temples are said to be self generated and so are divine and have great spiritual significance. Ujjain is surrounded by these mahadev temples and so by visiting these 84 temples of lord shiva one is able to see whole ujjain. Shree Agesteshwar Mahadev Temple inside santoshi mata mandir, which is just behind harsiddhi mata temple. Shree Guheshwar Mahadev temple which is near by Dharmraj temple in ramghat. Shree Dhundeshwar mahadev temple in ramghat. Shree Damrukeshwar mahadev temple in ram stairs in ramghat. Shree anadikalpeshwar mahdadev just near to Joona mahakal. Shree Swarnjwaleshwar mahadev above dhundeshwar mahadev in ramghat. Shree Trivishteshwar mahadev near by mahakal sabha mandap. Shree kapaleshwar mahadev in bada pool slope. Swarndwarpaleshwar mahadev near to harifatak over bridge. Karkoteshwar mahadev temple in harsiddhi temple area. Shree Siddheshwar mahadev in siddhawat. Lokpaleshwar mahadev in kartik chowk. Shree mankameshwar mahadev in gandharwa ghaat near to udaseen akhada. Shree kutumbkeshwar mahadev just ahead to shree gowardhan nathji haweli. Shree Idyumneshwar mahadev in modiji gali. Shree ishaneshwar mahadev just before idyumneshwar mahadev. Apsareshwar mahadev in sugandhi gali in patni bajaar. Shree kalkaleshwar mahadev after ishaneshwar mahadev. Shree nagchandreshwar mahadev in nagnath gali in patni bazaar. pratihareshwar mahadev temple in in nagchandreshwar temple area. Kuteshwar mahadev near by udaseen akhada. karkoteshwar mahadav temple near by porwal dharmshala. Meghnadeshwar mahadev temple behind narsingh temple in chota sarafa. Shree mahaleshwar mahadev temple behind siddheshwar mahadev. Shree Mukteshwar mahadev mandir behind siddheshwar mahadev mandir. Shree someshwar mahadev near by bada pool. Shree Ankeshwar mahadev In indiranagar before water tank. Jateshwar mahadev temple in makodiyam. Rameshwar mahadev temple near by sati darwaja in rameshwar gali . Chyawaneshwar mahadev near by eidgaah in indiranagar. Khandeshwar mahadev temple in khilchipur. Shree pateshwar mahadev mandir near by RDGARDI Medical college. Anandeshwar mahadev near by chakratirth gate. Kanthdeshwar mahadev in bhairavgarh village. Indreshwar mahadev temple just above bada pool. Markandeshwar mahadev in vishnu sagar near by ram laxman temple. Shree shiveshwar mahadev in stairs of ram-laxman temple stairs. Shree kusumeshwar mahadev temple under dwarkadheesh temple stairs. Akrureshwar mahadev mandir just outside ram-laxman mandir. Kundeshwar mahadev just ahead of ankpat chouraaha inside baithakji. Shree lumpeshwar mahadev in bhairavgarh inside police line. Shree gangeshwar mahadev in mangalnath bank of river. Angareshwar mahadev behind mangalnath in kamad village. Uttarareshwar mahadev after gangeshwar mandir in mangalnath. Trilochaneshwar mahadev mandir in laalbaai -foolbai marg. Shree vireshwar mahadev near by satyanarayan temple , dhabaroad. Nupooreshwar mahadev temple in sutar gali in dabri peetha. Abhayeshwar mahadev nearby river kshipra river. Prathukeshwar mahadev just near to kedareshwar temple. Shree Sthawareshwar mahadev inside shanidev temple in Naipeth, ujjain. Shree suleshwar mahadev near by karkoteshwar temple. Vishweshwar mahadev nearby omkareshwar mahadev. Shree Neelkantheshwar mahadev in piplinaka chouraha bypass road. Simheshwar mahadev near by ganpati mandir in gadhkalika. Rewantewar mahdev on the way to kartik chowk. Ghanteshwar mahadev in kartik chowk tiraha. Shree prayageshwar mahadev before rinmukteshwar mahadev, ujjain. Matangeshwar mahadev in pinjarwadi gali. shree Saubhagyeshwar mahadev temple in saubhagyeshwar gali in patni bazaar ujjain. Shree rupeshwar mahadev in singhpuri. Dhanusahastreshwar mahadev near by tilkeshwar mandir gali. Pashupateshwar mahadev near by chakratirth. Brahmeshwar mahadev near by porwal dharmshala. Jalpeshwar mahadev near by gandhi udyaan, badapool. Kedareshwar mahadev on the way of rambag marg. Shree sangameshwar mahadev nearby agasteshwar mahadev mandir. Durghateshwar mahadev temple nearby mankameshwar mandir. Prayageshwar mahadev temple nearby lokpaleshwar mahadev. shree chandradityeshwar mahadev inside mahakal temple area nearby shankracharya statue. Shree karmareshwar mahadev infront of kalbhairav temple. Shree rajaswaleshwar mahadev in bhagsipura near to anandbhairav. Badeleshwar mahadev temple in front of siddhnath temple. Aruneshwar mahadev nearby dharmraj in ramghat. Pushpdanteshwar mahadev near by kartik chowk. shree hanumanteshwar mahadev in gadhkalika. Swapneshwar mahadev temple in mahakal temple parisar. Pingleshwar mahadev near by shree synthetic factory. Shree Kayavrohaneshwar mahadev in karohan village. Shree Bikeshwar mahadev in village ambodiya, ujjain. Shree Durdreshwar mahadev inside Jethal Village. It is believed that by visiting these temples and offering prayer one is able to getrid of malefic impacts of navagrah. Person is able to live successful life. 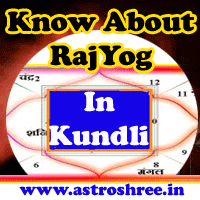 84 Mahadev In Ujjain, divine temples of shivji in ujjain, spiritual and religious places of Ujjain in India, online astrologer in Ujjain.